Slinky Glide produce long-lasting brake, choke, clutch, speedo and throttle cables for a wide range of road and off-road motorcycles, mopeds, scooters and ATVs. 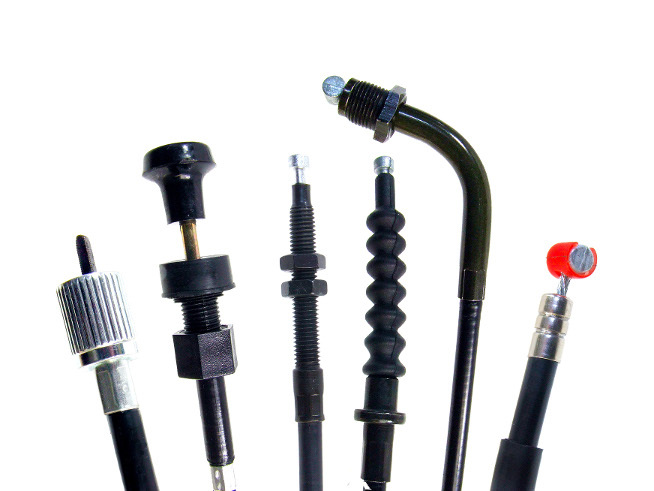 The range covers many of the leading manufacturers including Honda, Kawasaki, Suzuki, Yamaha, and Triumph - where they are now the first pattern replacement cables available in the UK. These ultra-reliable, OE standard cables are available for a fraction of the OE price tag. for a growing number of cables: a new stainless steel inner cable reduces the chances of the cable stretching or seizing up. It also increases its resistance to the elements, further preventing rust and increasing the durability of the cable. For more information, visit the Slinky Glide website.